To create true popovers, this is the pan for you. 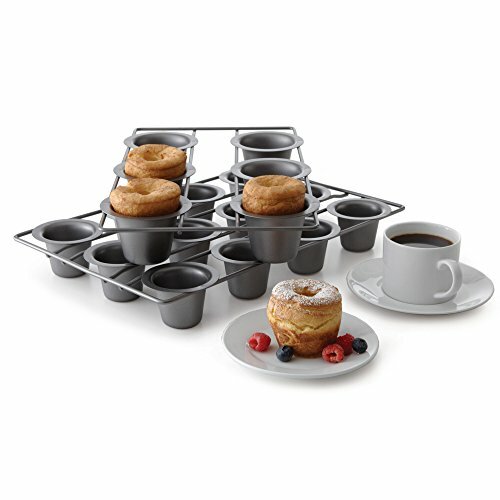 The cups are designed so that as popovers bake, rise, and "pop over" just like in the bakery—they won't spread into the others in the pan. 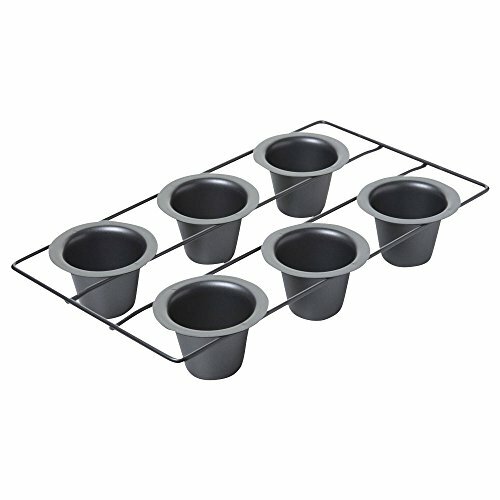 Deep tapered cups promote even baking and better air circulation. The pan is also great for making muffins and cornbread. Oven safe to 450°F / 232°C; not intended to be used under the broiler. Sharp-edged utensils and knives should not be used. 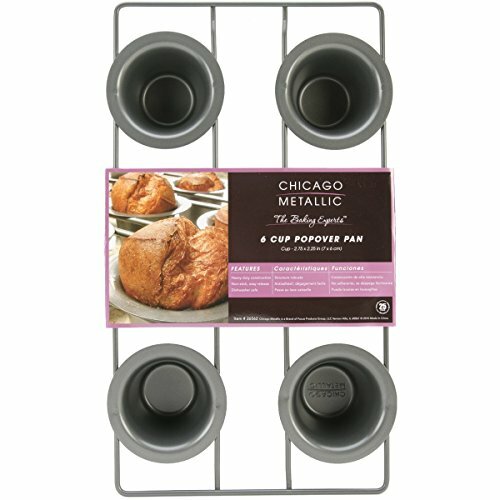 MULTIPLE BAKING USES: The Chicago Metallic Popover Pan can be used to bake traditional popovers, Yorkshire puddings, and can also be used to make traditional muffins. SUPERIOR HEAT CONDUCTION AND EVEN BAKING: This pan is made from heavy-weight aluminized steel for superior heat conduction and even baking. NON-STICK PAN: The pan is silicone based and has a non-stick coating for easy release, ease of baking and clean up. 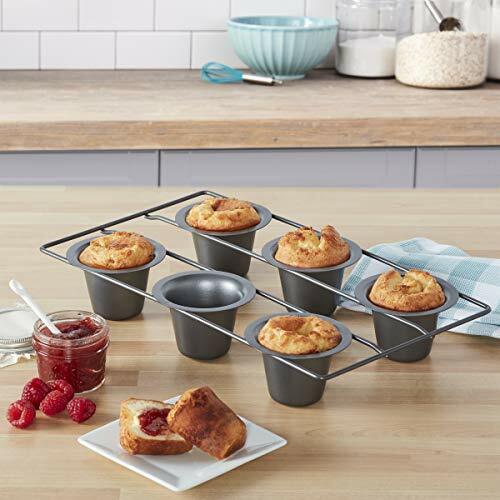 MEASUREMENTS: This pan bakes 12 airy popovers; each cup measures 2.75 inches by 2.25 inches; the total pan measures 15.5 inches by 9 inches by 2.5 inches.